In our month of independence (at least in the US), I say let them be free! The people you lead that is. Think about it. As a kid, you spend the majority of your day being told what you’ll do and when you’ll do it, either by parents or teachers. The offerings go forward one by one until every child has selected what HE wants to do that day. What he has the energy for, or what he has the interest in, or what HE wants to do. 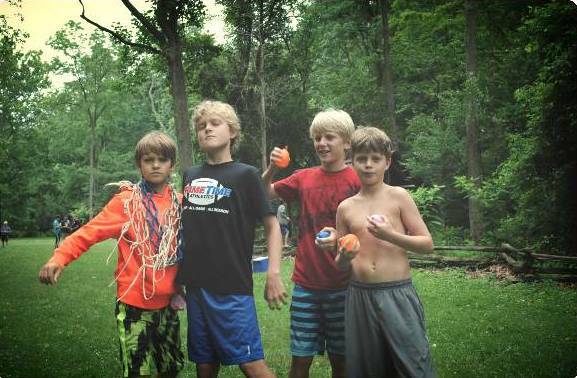 Camp is not without chores or rules, but the activities are positioned as the things we need to do. They ensure that everyone has “the most fun and excitement the summer can offer” (per the camp’s core purpose). So if we’re all into making that purpose happen, we’re willing to do our part like… make our bunks, play nice with others, be safe (and maybe write your mother). What might seem to the outside observer as a “Lord of the Flies” environment, is a well-orchestrated lesson in how to lead others. Hire people who are excited about your core purpose. Hire individuals for their strengths and passion for the role you have and then invite them to the flagpole over and over again. Know that everyone will pitch in and do the not so fun work when necessary. Enjoy your new freedom of time you would have spent otherwise controlling everyone’s time and choices! Go one, let ‘em loose. It is not as scary as you think.